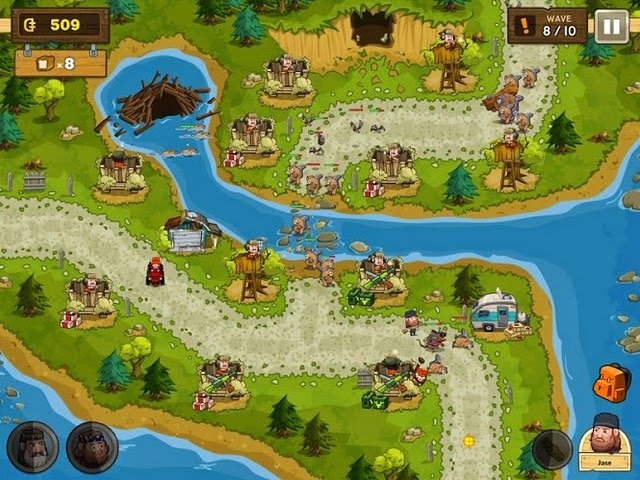 Duck Commander: Duck Defense is a tower defense game led by television’s first family of duck hunting, the Robertson’s. Get your ducks in a row! install the .apk below and have fun. Your favorite bearded men are at it again! This time, the Robertson Duckmen are forced to defend their Louisiana land and Miss Kay’s fine baked goods from wildlife-turned-enemies. 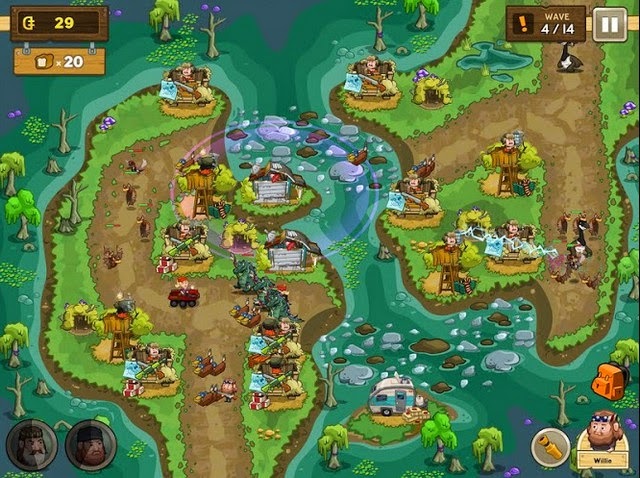 Play as Willie, Phil, Si and Jase Robertson in this Tower Defense style game as they use a variety of duck blinds, duck calls and redneck ingenuity to push back against the high-powered enemies that have rallied against them! Prove your worth to join the ranks of the Duck Commanders! 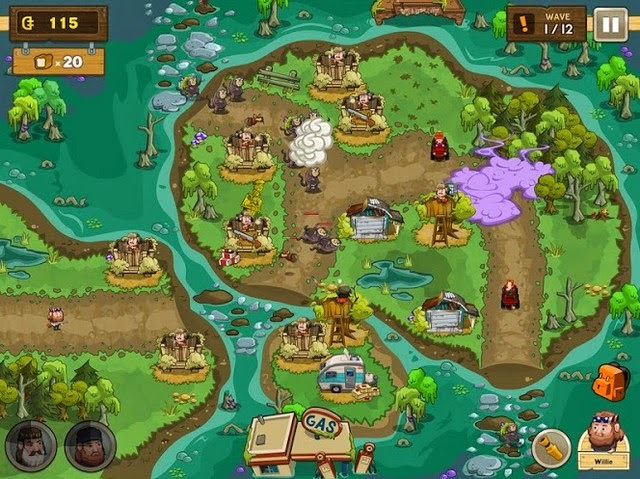 · 15 locales and levels: From the swamps to the forests of Louisiana, play through 15 levels in three environments that have new enemies crawling out of every nook and cranny. 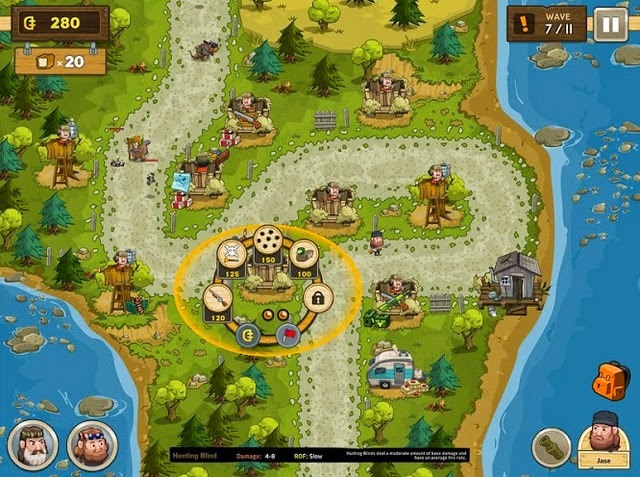 · Classic tower defense strategy: Defend your map from advancing enemies with three different tower types: duck blind, tree stand and ATV Garage. 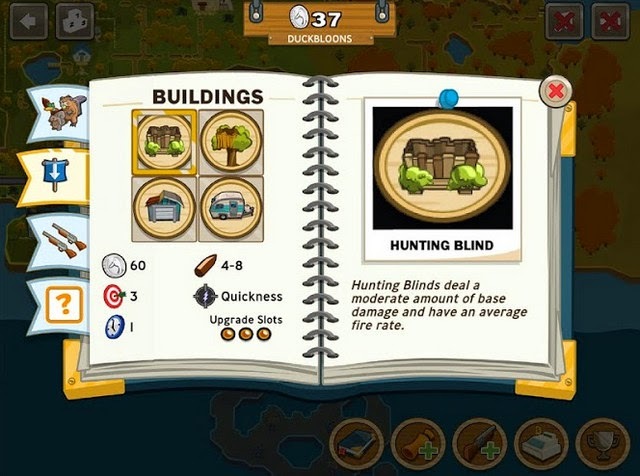 · Use over 40 tower upgrades: Enhance your towers with unique upgrades like hunting dogs, duck decoys and lightning rods. 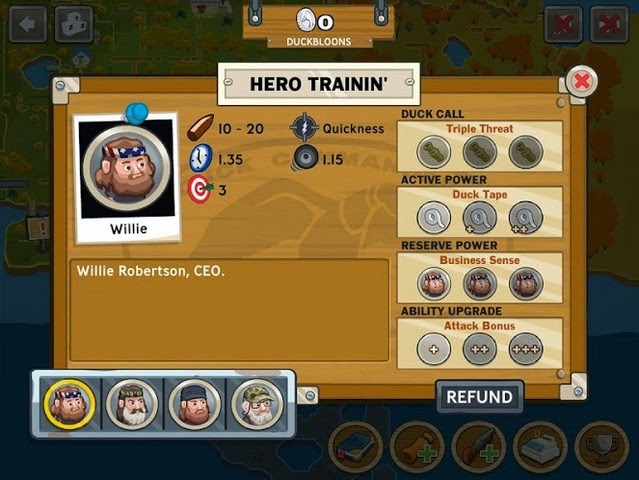 · Rely on duck calls: Each Robertson has a unique duck call that affects enemies differently, including Willie’s Camo Max call that causes extra enemy damage. · Defend against wild enemies: Louisiana wildlife including ducks, squirrels, beavers, chipmunks riding frogs, robotic possums, mystical alligators and even powerful mechanical squirrel boss enemies. · Get the edge: Earn or purchase currency to spend on power-ups you can use in-game, like an explosive Propane Tank that clears the map of enemies. · Choose your own difficulty: Three difficulty levels and an extra challenging mode will test every player. · Achievements: Earn achievements and find secrets hidden in each map! · Endless Mode: Three endless mode maps pit you against the endless waves of bad guys. See how long you can survive, then post it to the leaderboards! Install Apk, copy 'com.activision.duckcommander' folder into Sdcard/Android/obb , play and have fun!